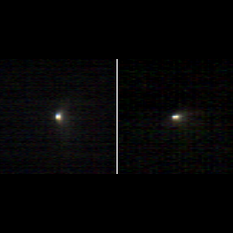 A set of photos released by Mars Orbiter Mission last week completes the set of Mars spacecraft observations of the comet. Now we wait for science results! 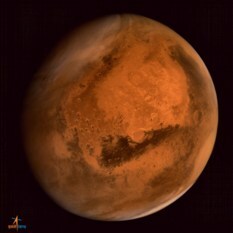 ISRO has released a second global image of Mars from the Mars Colour Camera on Mars Orbiter Mission, and smack dab in the center of it is Gale crater, home to Curiosity. 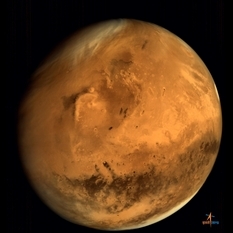 Mars Orbiter Mission successfully arrived at Mars on September 24, 2014, India's first interplanetary mission. What does this mean for India? 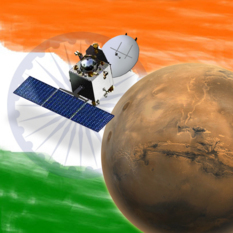 Here are a few links to what will hopefully be working video feeds watching India's first-ever attempt to place a spacecraft into orbit around another planet. 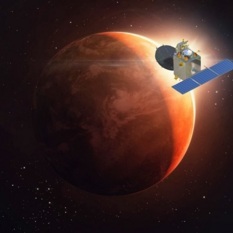 Begin watching in just a few hours, at 6:15 IST / 00:45 UT / 17:45 PDT for an orbit insertion burn scheduled to begin at 07:30 IST / 04:00 UT / 19:00 PDT! 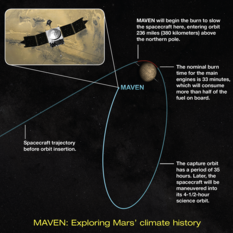 Today's the day that MAVEN enters orbit at Mars, bringing the number of Mars orbiters up to four. So far everything looks good. 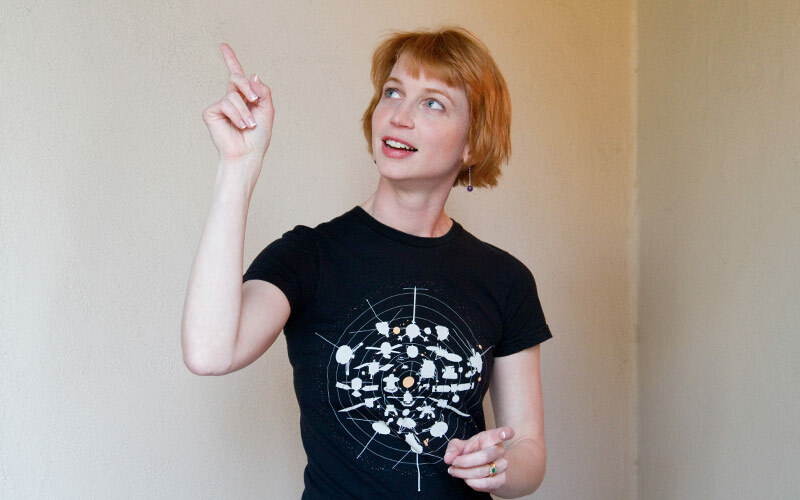 The orbit insertion burn should begin tonight at 18:50 PDT / 01:50 UTC. 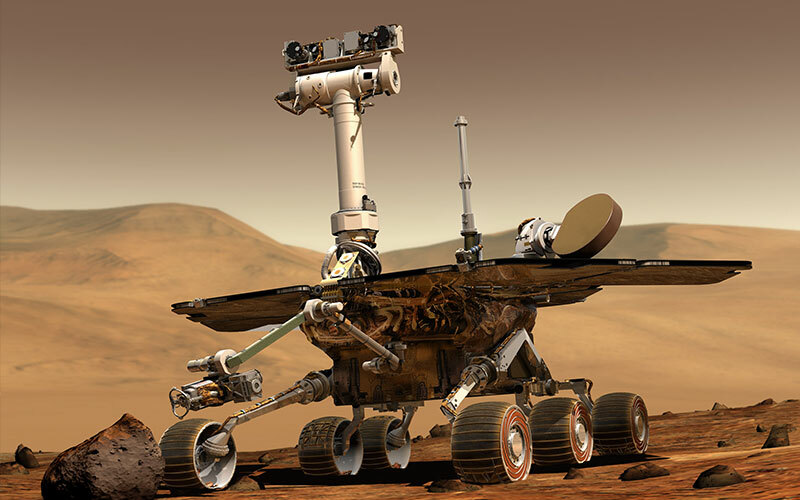 I'll be on stage with Mat Kaplan and Rich Zurek at Planetary Radio Live, keeping up to date with the latest news from the spacecraft; here is a timeline in PDT, UTC, CEST, and IST to help you follow along. 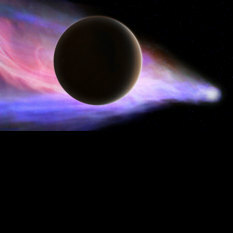 Mars Orbiter Mission's fated arrival day is approaching fast! 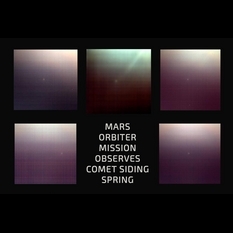 Here is the timeline of orbit insertion events, converted from India Standard Time to Universal, European, and Pacific time zones, and corrected for the 12.5 minutes it will take signals to reach Earth from Mars.